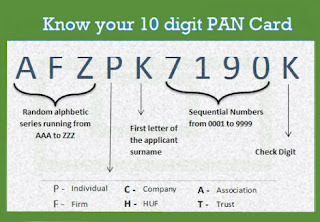 Home > Real Estate - Documents > These 20 TRANSACTION required PAN card..
Indian Income-tax Act, 1961 Section 139A(5) of provides that every income taxpayer shall mandatorily quote its PAN in all documents pertaining to certain transactions (PAN reportable transactions) as prescribed by CBDT. Default thereof attracts penalty of Rs. 10,000 on each occasion. If the taxpayer does not possess PAN, it may furnish a declaration in Form 60 giving details of the transactions & other prescribed details. Recommendations of the Special Investigation Team on Black Money was that quoting of PAN should be made mandatory for all sales and purchases of goods and services where the payment exceeds Rs. 1 lakh. The amended rules for mandatory quoting of PAN have been made effective January 1, 2016. (b) Properties valued by Stamp Valuation authority at amount exceeding Rs.10 lakh will also need PAN. Exceeding Rs.50,000 on any one day. Cash deposit exceeding Rs.50,000in a day. b Purchase or sale of shares of an unlisted company for an amount exceeding Rs.1 lakh per transaction. Payment exceeding Rs.50,000 in a year. Purchase / sale of any goods or services exceeding Rs.2 lac per transaction.